What began more than 30 years ago in the Napa Valley and Sonoma County wine country continues on today in beautiful Southern Oregon. Internationally acclaimed Winemaker/Consultant John Quinones is proud to introduce his own personal lineup of hand-crafted wines—produced in extremely limited quantities with no compromises—that showcase his experience and ability to consistently make wines that compete with the best in the world. John’s focus is on finding and using only the very best ultra-premium wine grapes, meticulously grown in the most desirable vineyards, and continuing his 30-year legacy of crafting wines that garner world-wide recognition. 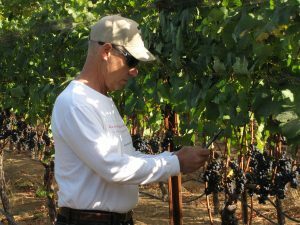 John’s winemaking success is the result of a great education at UC Davis, fortunate career opportunities, and a personality driven by a rare combination of artistic and analytical elements that work well together. His artistic creativity challenges him to push the boundaries, and the analytical side prevents unnecessary risk. 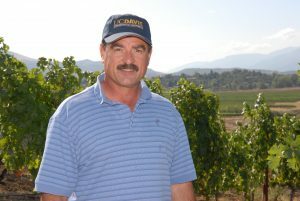 His winemaking style is fruit-driven, and each vineyard site imparts a unique set of qualities and characteristics to a given varietal. Winemaking procedures are individually tailored to maximize and showcase those unique qualities, to ensure each wine fully expresses that distinct sense of place. John’s artistry is recognizable in the way he balances of all of his wines. He has the extraordinary ability to create full-bodied, plush textured wines with a velvety mouthfeel. John describes the Southern Oregon wine growing region as yet to be discovered and is committed to seeing happen. It’s also a wonderful place to live. In 2016, Marshall joined forces with Diamondback Vineyards, where he brings the same level of passion and dedication that has served him so well as a Hall of Fame professional athlete and businessman. Marshall is a life-long resident of Southern Oregon and considers himself to be both fortunate and blessed in his professional life, where he has been successful in every endeavor. As a professional bowler from 1974 through 1997 Marshall’s passion for the game, coupled with his total dedication to being the best, took him all the way to the Professional Bowlers Association Hall of Fame. As a bowler, Marshall earned a reputation for being a fiery competitor and an outspoken personality. Following his amazing career, Marshall became the voice of the Pro Bowlers tour for ESPN and CBS. Marshall knows that one of the key elements behind any successful endeavor, is the ability to consistently over-deliver. It’s no coincidence that this is also the guiding principal for Diamondback Vineyards. Our winemaking is guided by artistic vision supported by scientific boundaries.